NEW BRITAIN - In 2006, Lorraine Stec, 83, of Bristol, visited the Hospital for Special Care for physical therapy after knee replacement surgery. 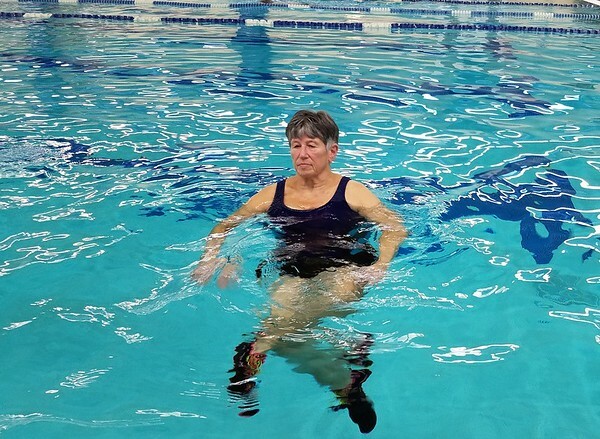 While she was recovering, she became interested in the Aquatic Rehabilitation Center. Stec was 70 years old at that point. She asked if they had swimming lessons and didn’t take no for an answer. “That’s when I first learned how to swim,” Stec said. 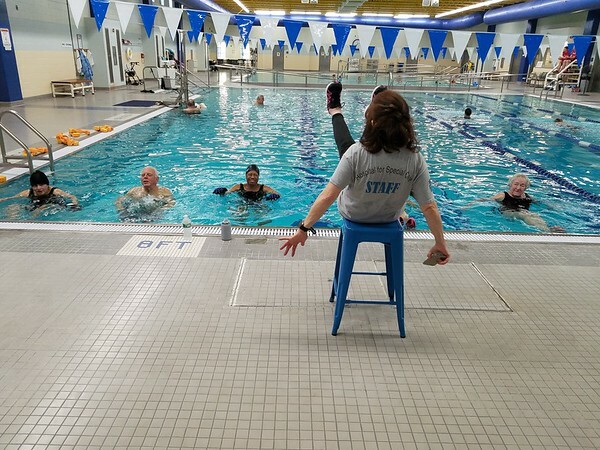 The instructor that taught Stec how to swim motivated her to join a morning deep water class, which she started to take and has continued to do ever since. The Aquatic Rehabilitation Center at Hospital for Special Care was established in 1999. Pools in the center have a lift to help people who can’t walk get into the pool. In addition, there’s an adaptive sports program with a swimming component for teens with physical and developmental challenges. 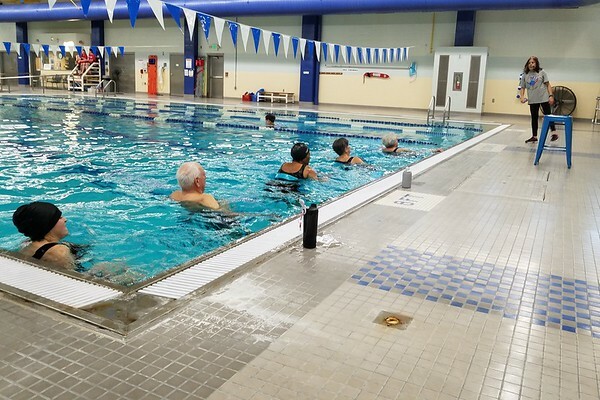 The Aquatic Rehabilitation Center offers memberships to the community, patients and employees. 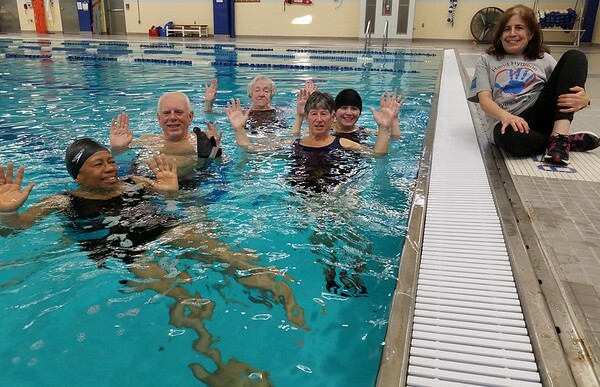 The group classes include deep water aquatics, deep water for beginners, aquatic yoga, low impact surprise aquatics, aqua challenge, water Tai Chi, strength and stretch aquatics and breath and balance aquatic classes. Amy Gray has been one of the swimming instructors at HSC for 10 years. Gray teaches a deep water course that runs three times a week starting at 7 a.m. Gray said her favorite part of the class is motivating the students to workout. Gray’s class is mainly attended by retired senior citizens. Evelyn Newman Phillips, 68, of New Britain, used to be a runner. 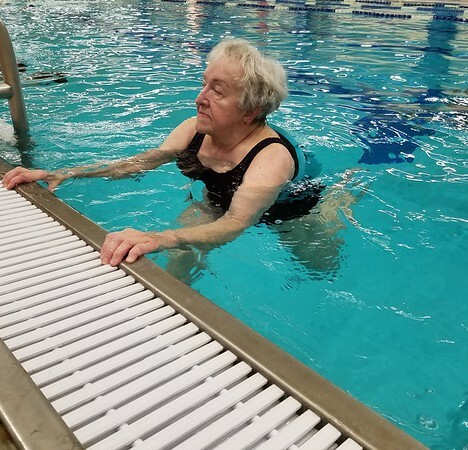 She started taking the morning swimming course after she had taken part in a physical therapy program that involved pool exercises at HSC. 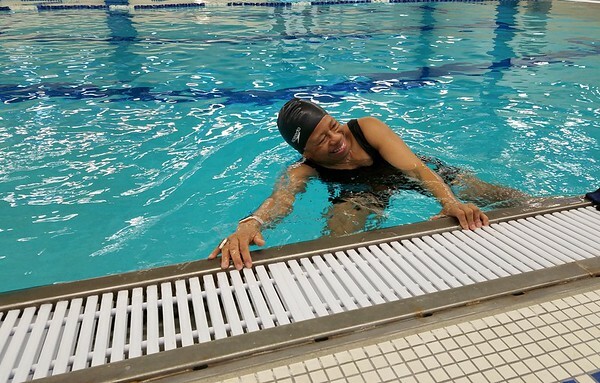 Ana Boissonneault, 56, of East Berlin, started taking the swimming class five years ago. She said she enjoys the class and part of it is because of the instructor. Mary Fedder-Lebel, 75, of New Britain, has been in the swimming program for 10 years. 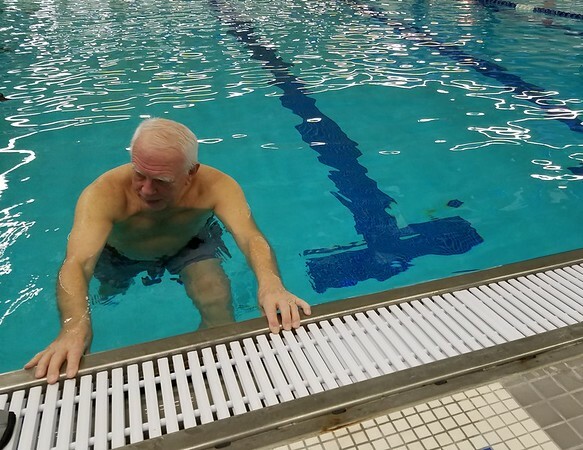 David Fearon, 76, of New Hartford, was on the committee that started the plans to build the Aquatic Rehabilitation Center in 1997. “We found out that if we could have fitness and therapy, people could continue taking care of themselves after they left the hospital,” Fearon said. One of the ideas was that the facility could be a place where people with advanced age would feel comfortable working out. Once the center opened, a lot of people extended their quality of life because they started to use the gym to work out and swim in the pool, Fearon said. This was essentially the vision of former president and chief executive officer of HSC, Dave Crandall and Dr. John Votto, Fearon added. When the Aquatic Rehabilitation Center opened, Fearon also started taking the morning deep water aquatics class. Today, he continues to get up early in the morning just to go take the class. To learn more about HSC’s Aquatic Rehabilitation Center visit hfsc.org/community/aquatic-and-fitness-center/. Karla Santos can be reached at 860-801-5079 or ksantos@centralctcommunications.com. Posted in The Bristol Press, Bristol, General News on Monday, 11 February 2019 20:50. Updated: Monday, 11 February 2019 20:52.